Below are simple guidelines that will help you in formulating your posts once we accept you as one of our writers. Kindly endeavor to follow the rules lest we find the cooperation between us unsuccessful. Your article must be 650+ words length. Shall have 1 link (dofollow) from the article body to your own article/site. Shall have 1 link (dofollow) from the “About Author” widget to your own article/site. All these 2 links should be unique (that means, you should not link to same URL more than once). Shall add an image to the post (don’t forget to give image credit) – optional, if you don’t add images, i will add to get it to the thumbnail. Kindly No Affiliate links in your articles. I reserve the right to protect my readers from access to malicious sites and product pages that might in one way or another harm them or their devices. 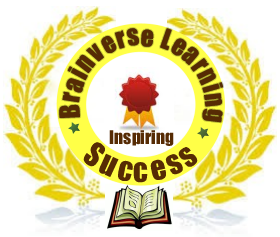 This is a information rich blog covering many topics in the Learning environment. Be sure to maintain the standard of moderate discretion and discreet moderation of the blog at all times when writing your posts. Here below are more detailed Guidelines. You could write an article which falls under any of the categories defined in this blog. Your post should have a specific target group as readers get to the site with varied searches and would like to get the exact information they are looking for and not a reference to another page or substandard information. We have no length restrictions, if you write an article with 650+ words then good and maximum no limits. As long as you are going to write something to attract our readers and keep them interested and coming back for more. We believe that the story you will give to our readers is original. If you are giving the story of another person, kindly include the names of the person and the possible reference to the source of the story. Articles with “How To”, “Tips”, “Steps To”, “Ways” et cetra should be to the point, the writer should be exact and explicitly give the intended idea. NB: If you wish to give a single post without getting an invite to make future contributions, fill the form and insert your article in the space provided.